HOT! Michael Kors Stockard Rain Boots ONLY $46.87 SHIPPED! HURRY! Grab these Michael Kors Stockard rain Boots for ONLY $46.87 SHIPPED! Children’s Place 80% Off ALL Clearance! FREE SHIPPING! GREAT DEAL! TODAY ONLY! 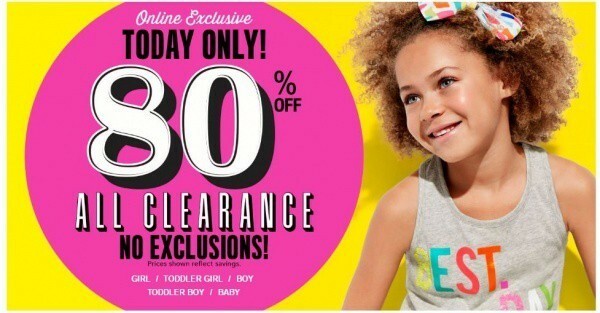 80% Off ALL Clearance & FREE SHIPPING at The Children’s Place! $2 Off $10 Produce Coupon! Check your emails! I just received a $2 Off $10 Produce Coupon from Giant to Load to My Card! Produce Coupons are rare so take advantage of this special offer! Go check your emails!